Fresh off the heels of Beyoncé’s legendary, record-breaking performance at Coachella, one California-based church is getting in formation by honoring the superstar singer and philanthropist with her own designated mass service. 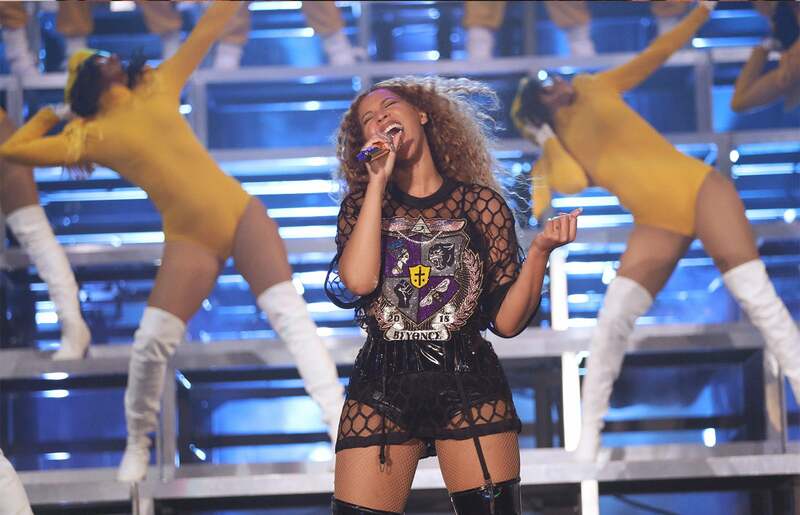 Grace Cathedral recently announced that its contemporary worship service, the Vine, will host Beyoncé Mass on Wednesday, April 25, to highlight the “Halo” singer’s music, specifically as it relates to Black female spirituality. The Beyoncé Mass is part of a three-part series to be held at the Nob Hill church called “Speaking Truth: The Power of Story in Community.” The series was created with the intention of lifting up the voices of those largely marginalized and oppressed by the Church, particularly women, skeptics and communities of color. On the surface, including an artist who is, arguably, more famous for her secular music than she is from her humble beginnings singing in the choir in Houston, seems odd for Grace Cathedral. However, upon delving deeper into the artistry of the 36-year-old musical icon, the deliberate imagery of spiritual deities sprinkled in her televised performances and interspersing of religious odes at her concerts have always been present throughout the course of Beyoncé’s 20-year career. There was her awe-inspiring Grammy performance in 2017, where she embodied African goddess Oshun, as well as her recent rendition of the African-American hymnal, “Lift Every Voice and Sing” at #Beychella. Not to mention, her pregnancy photos and the captivating portrait of her newborn twins posted on Instagram in July 2017 drew comparisons to the Black Madonna and challenged the traditional acceptance of the white Virgin Mary. The Beyoncé Mass is just one of many programs and services Grace Cathedral has implemented to elevate the conversation surrounding Black women, immigrants and the LGBTQ community. “I am committed to leading a community that is not afraid to engage hard conversations about what it means to walk with God in a world still beset by structural injustice,” Reverend Harmon tells ESSENCE.